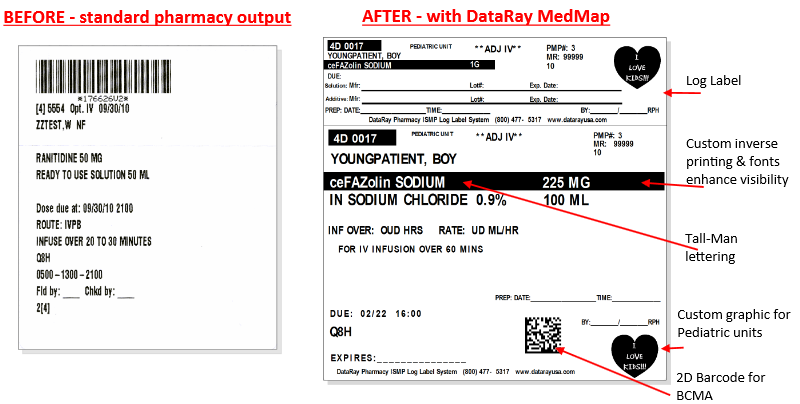 Most pharmacy system med and IV label output formats are very basic, do not allow much flexibility in design, and do not conform to the Institute of Safe Medical Practice guidelines. 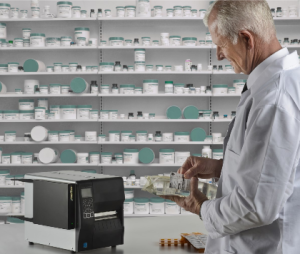 DataRay’s Pharmacy SafetyPrint Solution allows the pharmacy director to have control of their label formats, and provides advanced patient safety features in order to protect you from costly medication errors. Facilitates migration to the new Institute for Safe Medical Practices (ISMP)Guidelines for Hospital Pharmacy Label Formats.